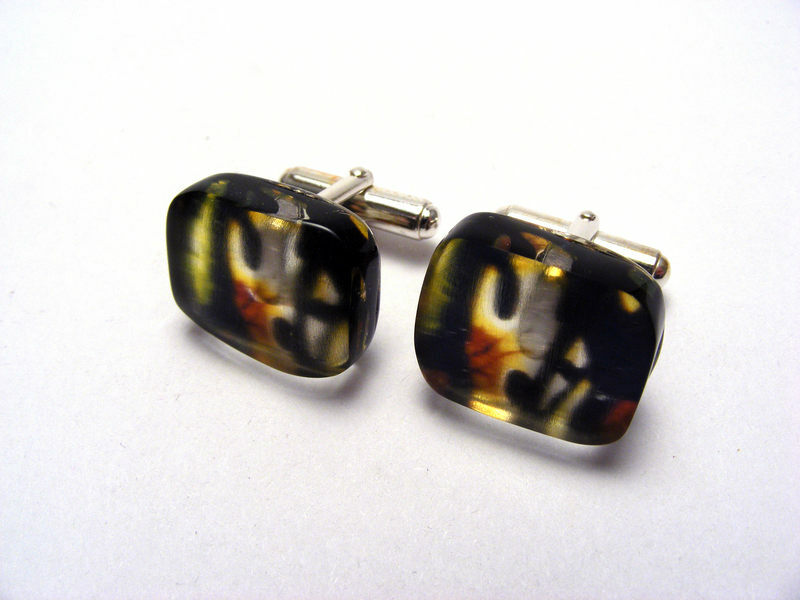 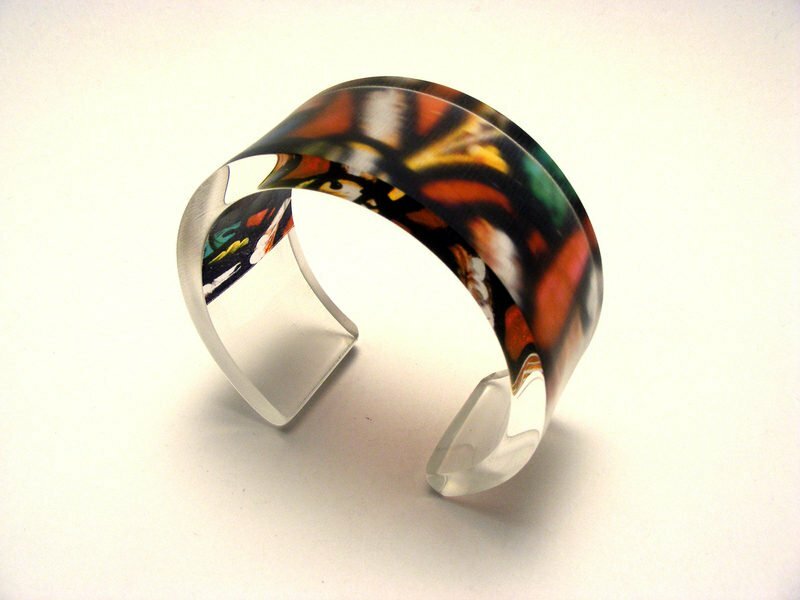 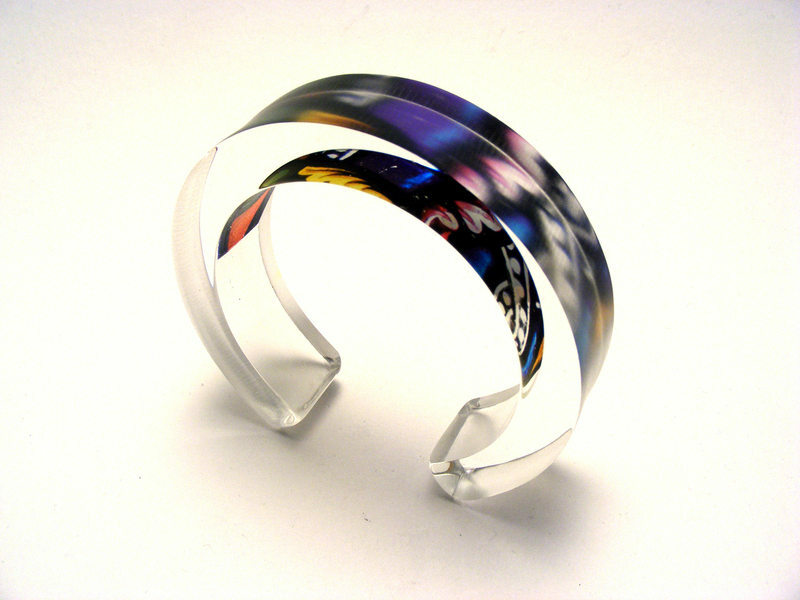 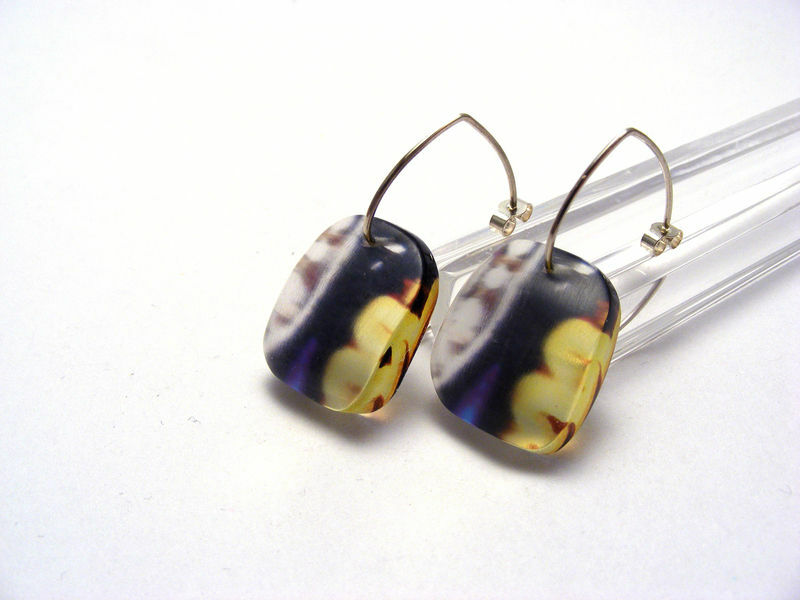 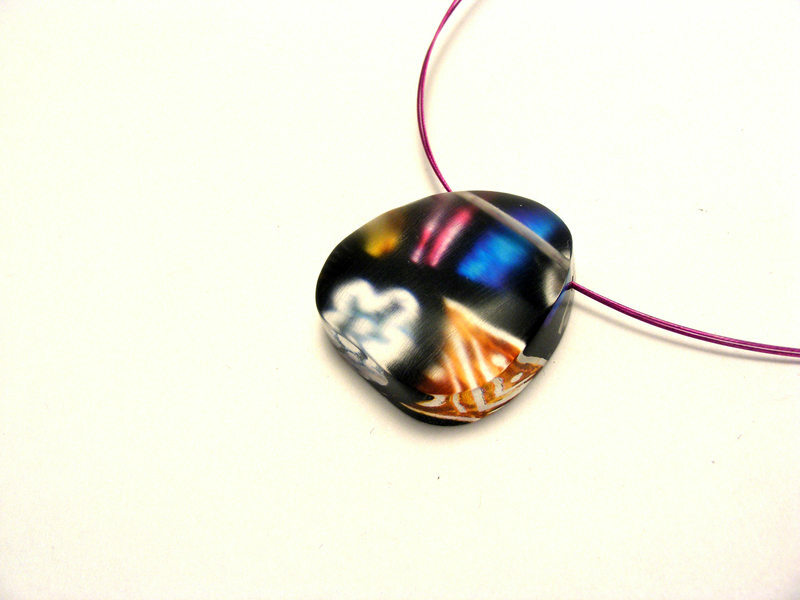 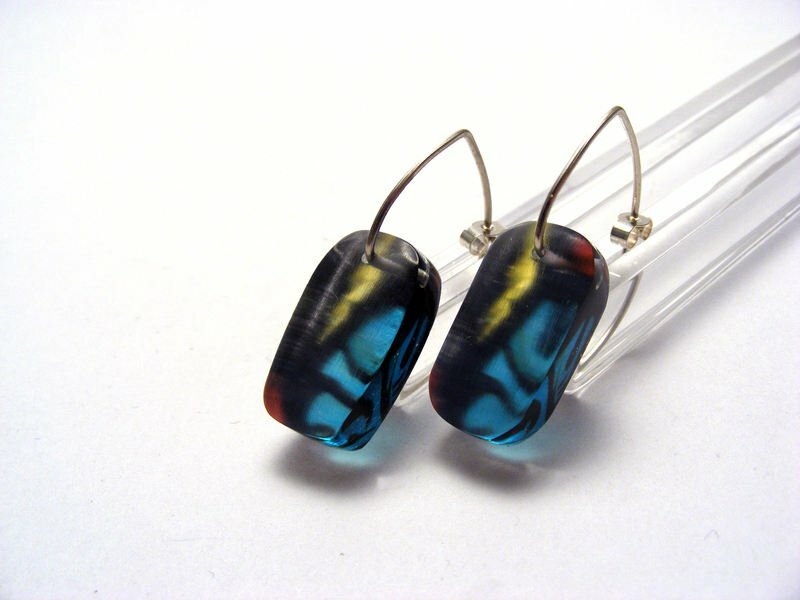 Range of jewellery using a collection of photographs taken of Stained Glass. 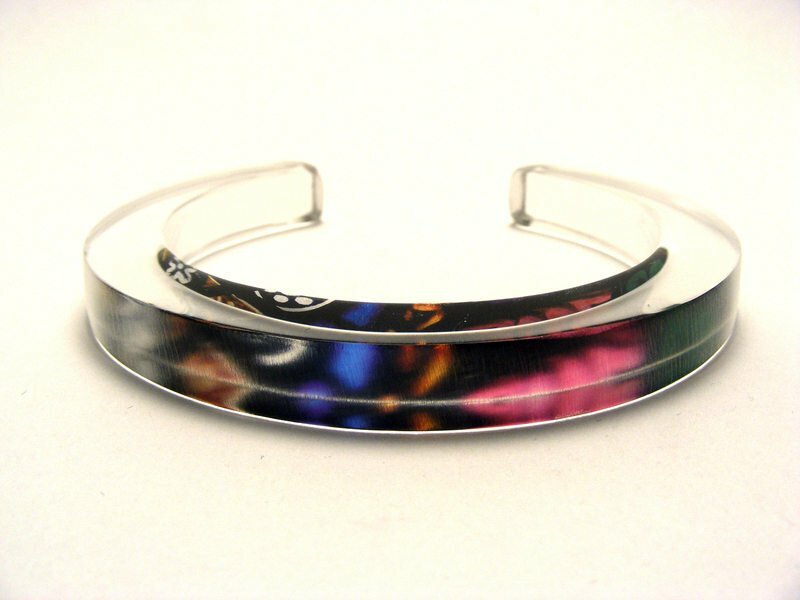 Please specify Small/Medium or Large diameter size bangle when ordering. 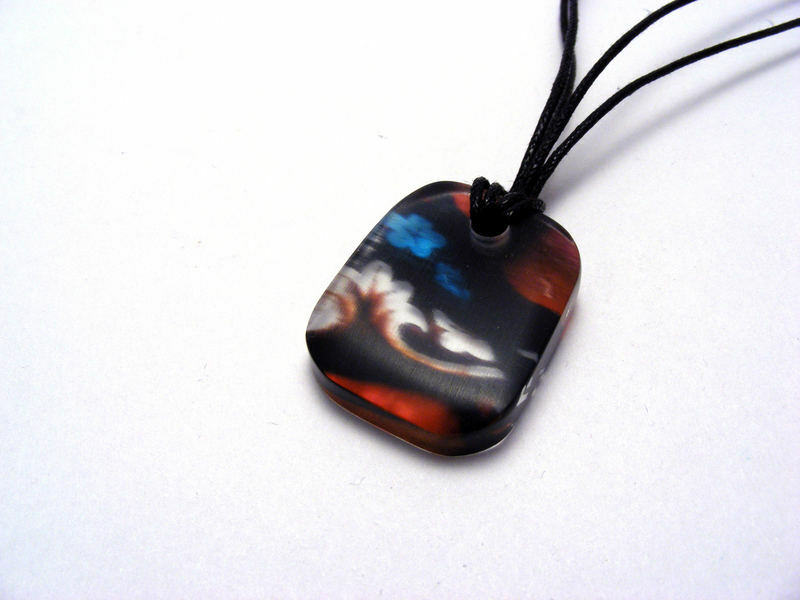 Due to the nature of my printing process no two pieces are identical so you may find images slightly different from those ordered here.